Help me pick my team of hunters! Who would you invest in and who would you retire? I want to retire at least one. Who has the best traits? Is Ronnie worth leveling up? Thanks, I'll definitely invest in Ronnie and keep Jane. If it was between Joanne, Dawn and Emily, which one would you keep? Also, when you retire someone with badges equipped, do you lose those badges? Do you have to pay gold and remove them to keep the badge? 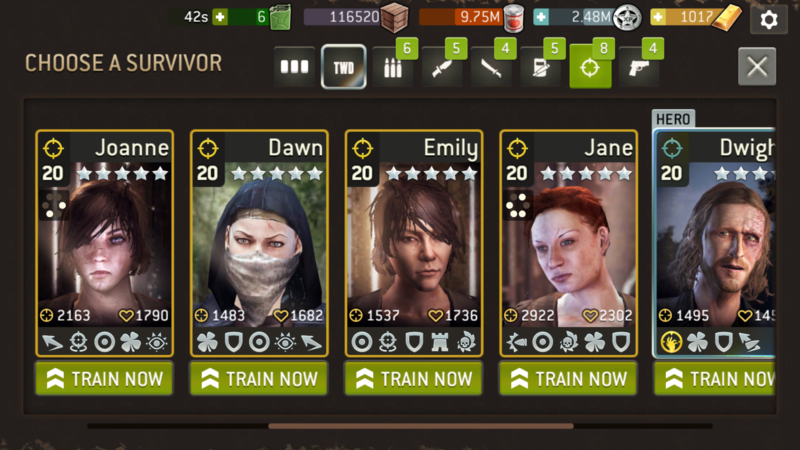 I'm thinking scrap Emily for sure and Dawn. I'll possibly hang onto Joanne for now. Any other opinions? 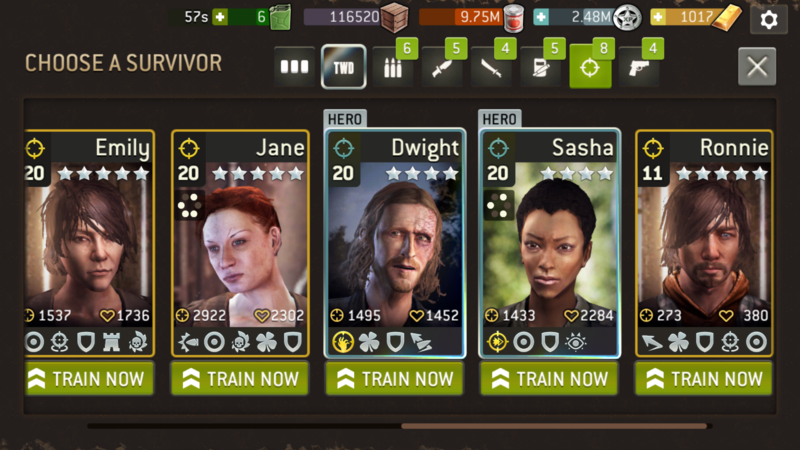 @psychwolf when you retire survivors with badges, badges aren't scrapped they just go back to your inventory like weapons. IMO I would make Ronnie my main Hunter. I have a hunter with the same traits and she's double pink now. With the right badges he can do some damage. I would work on Jane also and scrap the others. Thanks guys, scrapped Joanne, Dawn and Emily. Jane is pink now and Ronnie is a few tokens away. I like Ronnie, Jane, and Joanne. Ronnie and Emily as a 2nd, full powehouse!